I have been lusting over Lime Crime Velvetines for a while now. 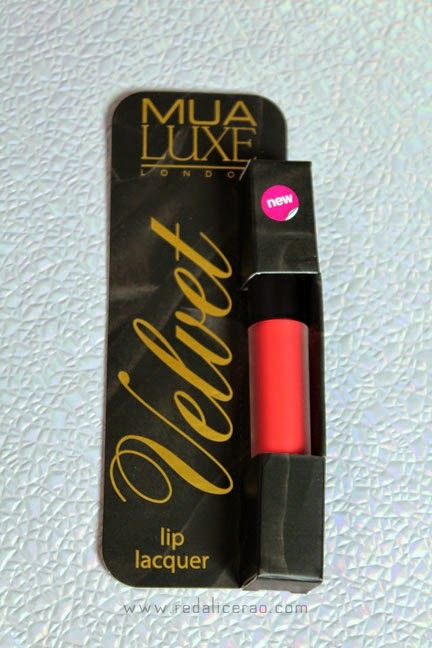 When MUA came out with their Luxe Velvet Lip Lacquer I just had to get my hands on them, specially because they were easily available in Pakistan. The price difference between both brands is also phenomenal. Was MUA up to my expectations? Lets see. 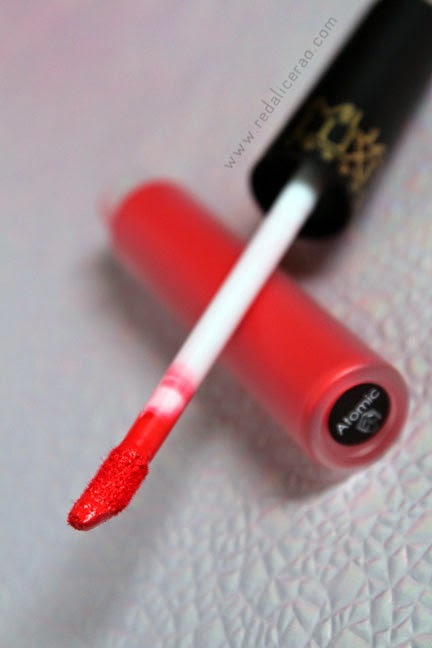 "Get the ultimate velvet-matte pout with this richly pigmented, silky smooth lip lacquer. 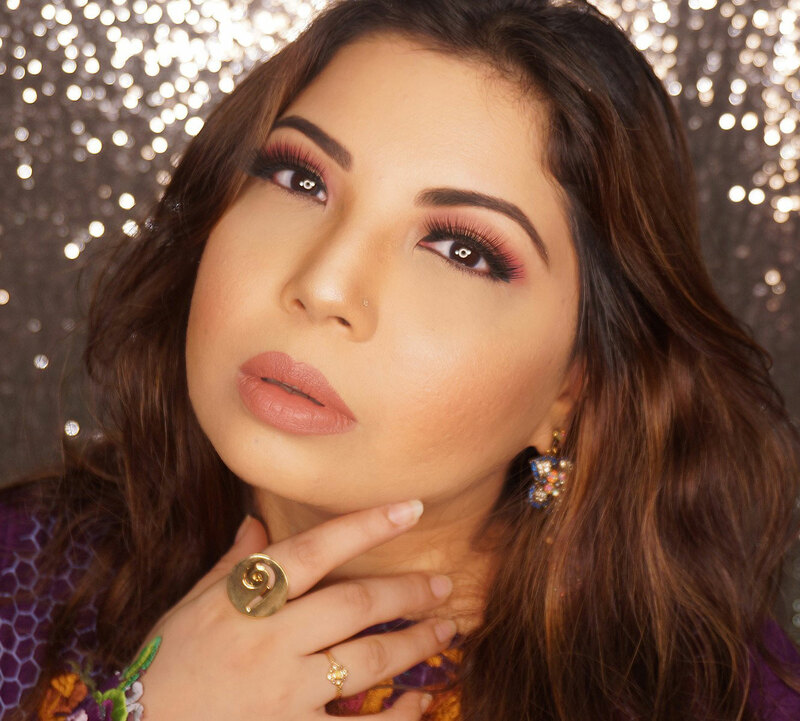 The quick dry formula glides on effortlessly to leave a gorgeous matte finish that is smudge-proof and long-lasting." 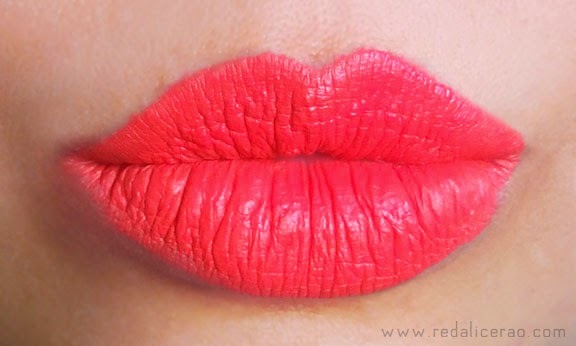 - Shade: Atomic, a tangy bright orange. It looks different in every light and comes off as Coral red at times. It is sid to be a dupe of Lime Crime Velvetine Suedberry, the resemblance is there but not a lot. - NOT quick drying. It took approximately 5 minutes. I also have liquid matte lacquer from STILA and DMGM, they dried instantly. MUA Luxe is really sticky and I had to keep my mouth open till it dried up completely other wise color peels in places. - It does glide on easily with the applicator but you can't re-apply over the dried lacquer otherwise it starts peeling off. So you need to be quick and precise. - Beauty tip: Do moisturize your lips and hydrate before using this product other wise your lips will really dry up. My big lips were drying up fast. - The finish was not as smooth and velvety as I expected, more powdery matte. I was clever enough not to give into the temptation and only got one color to test. 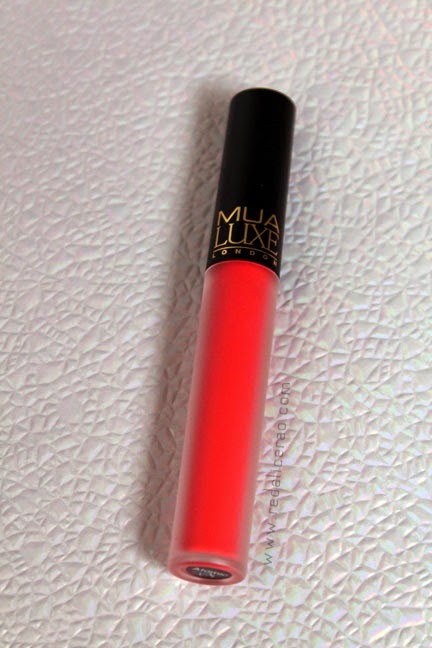 If you want to check this product out, you can buy MUA Velvet Lacquer from Just4girls. Well I know dupe wise it almost close but its not THAT good quality wise :/ Sadness! Beautiful lip swatch dear. The shade is super pretty . Haina? totally Drool worthy color!